Have you been using the best Maine court reporter? Discovery Litigation Services is founded by a court reporter with over 20 years of experience. Operated by seasoned professionals, we understand the importance of providing highly-rated court reporters to cover your depositions. Our Maine court reporters know from firsthand experience the importance of their role in the deposition process. Our Maine stenographers are certified at the state and/or national levels. Our highly skilled court reporters in Maine and throughout the united states are eager to support you wherever your deposition takes place. 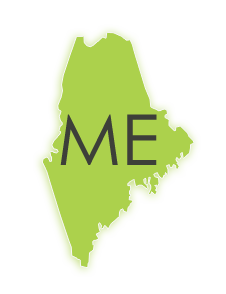 Our court reporters in Maine handle an abundance of depositions throughout the year. Discovery Litigation Services’ court reporters provide expertise rooted in hands-on experience, and their personal professionalism gives you the support required for a successful deposition. The experience and professionalism of our Maine court reporters are the keys to producing a quality transcript in a timely manner. Discovery Litigation Services will cover your court reporting requirements anywhere in the State of Maine. We’ll even supply you with the meeting room. Discovery Litigation Services knows you have options with your litigation services. We are here to provide superior services, all the time, every time. Every client has needs unique to their case, but every deposition requires accurate and qualified professionals regardless of their location. Discovery Litigation Services provides top-rated Maine court reporters, videographers and interpreters everywhere in the state. Operating at the forefront of litigation technology, Discovery provides the latest cost effective and compelling services. As a standard, all exhibits are provided in an OCR text-searchable format and hyperlinked to the transcript for easy navigation through hours of deposition material. Every videotaped deposition is synchronized to the text at no additional cost. Discovery Litigation Services provides solutions that allow for litigation teams to work collaboratively across all case documents. Our commitment to you does not end with accurate records. We have the team of experienced professionals to bring the added energy and support to your case. Discovery Litigation Services offers a one-stop-shop for your litigation needs. We stop at nothing to bring you the most feature-rich solutions to eliminate virtually every obstacle, headache, or pain point you can encounter. Browse our various litigation services and see how we can provide your case with the right bit of expertise to get you your verdict. Reach out to us, and let us know what you need. We’ll cover it.